There are not only make money online courses out there. With the development of the internet and the online marketing business comes several blogs that teach about online marketing. When I fist started out, I didn’t know about this… I spent $1,000 on a course to learn the basics about online marketing. Later when I dive deeper into the business, I found some blogs that offers in-depth information about how to online marketing, website building, traffic building, SEO etc. They basically taught most of what I spent money to learn for free… and more. What a funny creature the internet is! These blogs are not in a particular ranking order (it’s truthfully too hard to judge!). I put them according to what I think you should read first. It goes from blogs that’s more general about online marketing and mindset development to expert interviews, guides, case-studies to researches about traffic building and SEO. With no further ado, let’s dive in! Visit Charles Ngo’s blog at http://charlesngo.com/. Charles Ngo started his internet business in 2001 and has established himself as one of the most renowned online marketers. He started affiliate marketing with 14 failures and an $4,000 investment before his first successful campaign. Within one year from discovering about internet marketing, he made his first million. Mindset; Charles puts a lot of importance upon mindset, which is the chore impact to your success or failures. Before any guides or strategies, I suggest you dive within… you really need a good foundation in order to achieve anything. Guides; about campaign building, advertising, mobile optimization and outsourcing. The rise of Ngo; an 8-chapters biography about Charles’ experience in internet marketing. Inspirational. Visit Smart Passive Income at http://www.smartpassiveincome.com/. 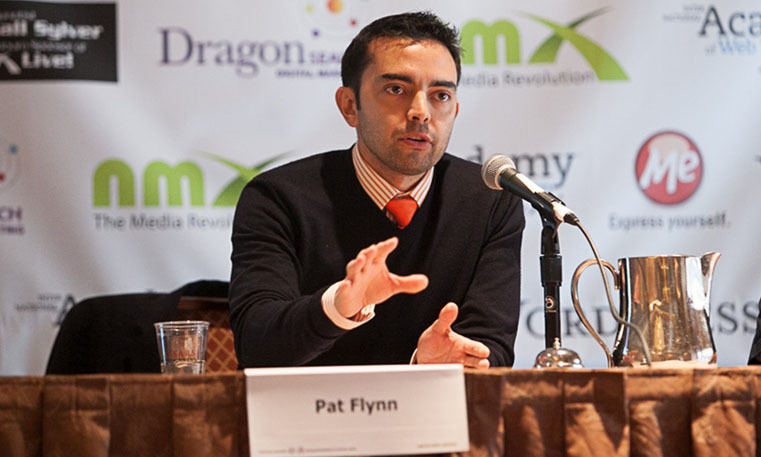 Pat Flynn is well known for building his business upon transparency and honesty. He made it a ritual to write his monthly income reports. Pat now earns in more than 100 thousands per month without hard selling anything. Aside from his articles, Pat also hosts a podcast where he interviews a variety of successful people all over the internet. Mindset; Pat’s idea about online karma and being a genuine online marketer is very inspiring, he’ll repeat that to you over and over. Guides; if you need guidance on blog building and online marketing, Pat is your guy. He’s genuine and stands out in the crowd with un-pushy attitude which I really admire, as we all know there are not many affiliate marketers like this in the business. Expert interviews; this is what I like the most about Pat (I know, I know, I am cheating because it’s a podcast, not the blog part). The Smart Passive Income podcast has is growing over 170 episodes with dozens of expert online marketers’ interviews, sharing their story, strategies and mindset. Visit Location 180 at http://www.seanogle.com/. Sean Ogle used to be a financial analyst (until he quits back in 2009), that is probably the reason why his instructions are so detailed and precise. As of now, Sean travels the world while running his online business. Mindset; Sean talks a lot about the insights he’d learnt over the years, helping you through his experience, both good and bad. Guides; about blogging, affiliate marketing. The most detailed and in-depth guide I have found on the topic of affiliate marketing and blogigng. Sean’s journey; Sean’s blog was originally a journal before he considers making money out of it. You will find old posts he wrote since he quitted his job, moved to Thailand and how his online business took off. Original and funky, Bryan Harris has a very unique way to deliver his messages. From what he writes, you can clearly see that he’s passionate about both blogging and making money online. You will find a number of challenges Bryan took upon himself like building an email list of 205 subscribers from scratch in 48 hours, launching an online course and make $220,750 in 10 days. Case studies; not so much about guides, Bryan’s blog offers case studies where he shares his experiments in detail. Brian Dean is a well known entrepreneur and SEO expert. He’s build his internet marketing company since February 2010 while travelling to Thailand, Japan, Spain, and Turkey etc. Guides; Brian’s blog is heavily focused on building traffics and methods to rank on search engines. Case studies; case studies from Brian and his friends about what they do to generate surprising results. Strategies; actionable out-of-the-box ideas (like Bryan’s) you can work on to increase and build traffic. Wow, that’s a pretty lengthy read you have ahead of you! Remember not to overwhelm yourself with information and go at your own pace. I’d like to note that going to conferences is still very rewarding considering the connections you can make and the real life involvements. Same goes with investing on online courses, the good ones will offer you great tools and a community to boost your results. Consider these blogs as valuable extras to your research. Follow them, choose one method and really take action, you are well on your way for a strong start in online marketing. These are all the blogs I am following at the moment and I will update if I ever found something of interest. I use and recommend Wealthy Affiliate, the best all-in-one online marketing training community on the internet at only $49 per month. As a thank you for dropping by Bloggingthing, here are some ways to get Wealthy Affiliate for a whooping 59% discount! That’s it for now, I hope this post gave you good resources to learn about online marketing, building traffics, inspirations, so on and so forth. Don’t hesitate to leave me a note if you if you have any suggestions. I reply to every comments. I added myself to each of these 5 bloggers that must be followed, they are successful, so I need to follow and do as they do. No need to reinvent the wheel. I was already familiar with Pat Flynn as well as Backlinko. I stumbled across their blogs within the last year or so. Definitely great information for building a successful online business. I stumbled upon your blog site today when I was looking for images for my own. I noticed that a few of your pictures aren’t showing up correctly but still found your article “65 Stunning Free Stock Photo Sites” to be incredibly helpful as I was having a hard time finding quality photos that I could use on my blog site. Could you please tell me which of these sites is your favorite to use photos from? Thanks, I look forward to your reply! I use most of my photos from Pexels, Josh. I will check about the images not loading, thanks for letting me know! This is a great idea to direct your readers into the right direction towards the best websites when it comes to making money online, affiliate marketing, SEO etc. I have been making money online since 2001 and especially very active over the past two years and know which sites to trust and which stay away from. These top blogs are definitely the best ones and we can benefit a lot from them in many ways. I’ve personally learned some very useful stuff from these blogs and will continue to visit them. Awesome, Rufat. You seem to have a lot of experiences. These are some of the best blogs I know and really admire the guys behind it so I’d like to share with others as well. I’m glad to see your article because it’s really helpful and interesting. I just created my website few weeks ago and began to write blog and at the same time I’m learning many things to get better in blogging and here it’s come your blog with powerful information. As I’m new in blogging, I have never heard of these 5 online marketing blogs but thanks for writing this blog that I get to know about them and learn from their blogs. Glad to hear, Adeel. Reading great contents can definitively help you a deal, good luck with your blog! Definitely, Vhuynh! They have some ideas that really helped me move my website forward, and I am very greatful for that. I wonder whether the best way to earn money is to follow what these guys are doing, rather than do what they teach. For example, it might be interesting to join Charles Ngo’s list, not to follow his advice, but to look at what he does and then try to copy him. It could be that the best way to make money online is to have a website that says “Are you making at least $1,000 profit a day in affiliate marketing?” This could be a great technique to grow a list, and then with a huge list, if he promotes affiliate marketing products, maybe he makes his $1,000 per day that way? Most of the affiliate marketing experts get most of their money from getting other people to pay them money to learn how to make money online. This is why George Brown is so rich from Google Sniper. Most of his money comes from selling his Google Sniper guide, not from implementing the techniques taught in his guide. Marcus, this is very well said. Sometimes the way the experienced make money is different than what they led on. Implementing that out-of-the-box technique and start asking “how do these guys make money?” can be very beneficial. The reason I feture these guys is because they all tell how they achieve their goals through case studies and autobiographies. Like Pat Flynn who honours transparency and writes his income report every months. Most of these blogs makes use of content marketing, meaning creating genuine and practical content in order achieve high ranking and authority, they are essentially not part of the hype of the “make money online” niche, but rather deal with subjects like content marketing, social media marketing, SEO and advertising. Hi Anh thanks for a valuable insight into some of the top names, I think you’ve really captured the industry in a nutshell here. I am a fan of Pat Flynn and follow his work already and would have read some of Brian Dean’s stuff, he writes a lot with Neil Patel who is another great blogger and internet marketing guru who is good to follow. I must check out the others and the links, thanks again for a great resource. I definitely love Neil Patel and will add him to the list soon. Thanks for the mention, Marie! I had no idea these blogs were out there. I agree they are a must read. It’s interesting that several of the bloggers had multiple failures before they succeeded. A newbie must expect to succeed right off the bat, but it rarely happens, if ever. When I started into copywriting, a teacher told me to expect to fail and I did, several times, but because I had been warned to expect it, it didn’t hurt. I knew I’d get through it. It’s the same with online businesses. We learn by failing. Falling on our face is still moving forward. Horton, insightful words you have. It’s a good technique to be down to earth about your goal and even keep low expectations if need be. Thanks for sharing all these great bloggers, I am so keen to spend some time reading their posts. I love reading success posts and reading their tips on how to blog. I love anything to do with internet marketing and I am always keen to learn. Is Charles Ngo your favourite? Hi Anh! Great post! I really need this one! I am just starting my online business and basically still learning. Having a guide and learning from the experts really helps. I’ll definitely check out the five of them and choose what I think is suitable for me. By the way, among the five, what do you recommend for me to start on? I am thrilled to help, John. For starters, if you only want to look at one… I would recommend Pat Flynn, because he’s a great inspiration. After that also check QuickSprout out, I found him recently and now frequent his blog on a regular basis. He’s a master of mind-opening contents and writes as fast as a ninja (really need to update the list, ha ha). Hello. My name is John and I am building a site through WA. called Nutritional Needs for Kids. WA has me reviewing other sites and offering comments and feed back. So here I am. I like the simplicity of your site, the originality of you options bar. My story as oppose to about menus. I have reviewed a lot of these online money making sites and I do believe I found my favorite. I like that you give us a top five places to go to learn and they other than online marketing have nothing to do with each other. You are direct and I can tell you are doing well. Thank you for the awsome content. John of Nutritional Needs for Kids. Nice to meet you John, your compliments means a lot to me. I don’t know much about nutritional needs for kids, I hope you the best. Cheers! I sure would love to make $1,000 a day in affiliate marketing, so Charles Ngo’s blog really seems like an ideal starting point fort me. However, as a blogger yourself, which 1 out of the 5 blogs would you personally recommend (considering how tough the decision is) and why? I am glad to provide you with some useful resources. If I have to choose for a personal recommendation, I’d say it depends on what stage your business is in… Recently I found myself over Backlinko a lot, I think he offers the most detailed and down to earth information with case studies and resources. I love Backlinko. 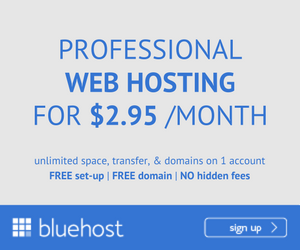 In my opinion, this website is a must-have for any newbie to pro. I will visit others too. I can safely say I haven’t heard of any of these blogs before but I will be looking into them further. 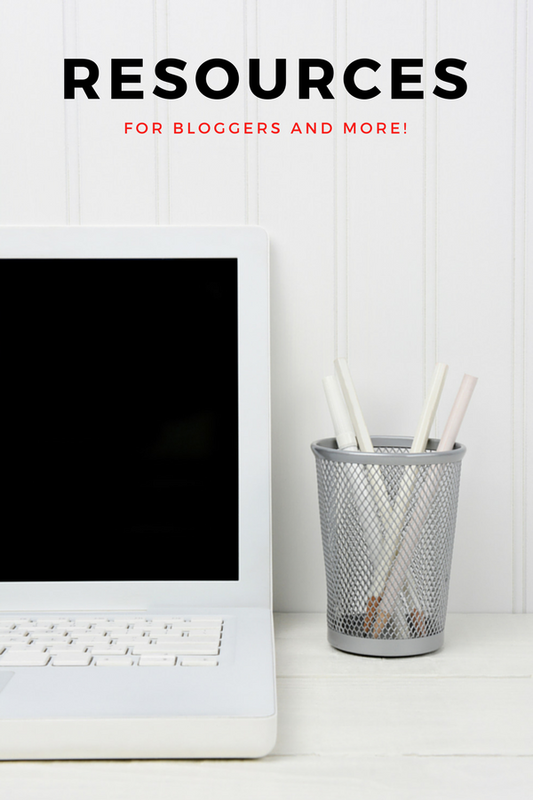 Seeing what the best in the business does is a great way to hone in your own blogging style and get tips for future posts – cheers for this, looking forward to reading it! Thank Chris, I agree with you, it’s by doing researches that I find myself develop at a much faster rate. All the best! This is a good group of marketing blogs. I’m especially interested in the Backlino one. I really want to learn everything there is to know about building more traffic and ranking. A brand new blog generating almost 18k visitors in one day? That’s hard to believe. I’ll have to check that article out right now! I like your enthusiasm, Gina. Brian, the founder of Backlinko is a detailed guy who is very knowledgeable about SEO and that case study you mentioned is a post that I learnt a lot from. Another case study of the Skyscraper’s technique is this one Content Strategy Case Study: 36,282 Readers + 1,000 Email Subscribers. Check that one out if you haven’t. These 5 blogs that you have mentioned all seem to offer good information to know. As you mention you need to take your time in exploring these blogs and don’t overwhelm yourself with all the data. Right now I am trying to build my blog based on the training I have learned from Wealthy Affiliate. Wealthy Affiliate is constantly coming out with new training that I have not done yet so I don’t know how I can fit in info from 5 more blogs. Hi Charles, I see what you mean… If you feel too overwhelming, I think it’s better to just stick with Wealthy Affiliate, I myself prefer to explore more into other spaces but I do think WA ofers great information in itself that you can develop a successful blog from. Cheers! Wow, you loaded me up with a bunch of reading to do! I added your post to my pending training tab for future reading. I too have seen so many people spend their savings on useless programs and scams. Glad there are places that are real out there like your site. How long have you been working online? I am glad to hear my post has helped you in anyway. I do have a pending training tab that I call “Check out” and it has amassed over 100 pages… mostly unread! What I recommend is you use a RSS hub to keep yourself updated on relevant blogs, I use Feedly and it’s really amazing with a mobile app and all (personal note: will add this part to the post soon). Check it out. If you want to go to the beginning of the beginning, I have been working online around the beginning of July where I started advertising products from Clickbank. I wasn’t pleased with the idea of promoting random products, then I found Wealthy Affiliate and started Perkprofit. You have a veritable encyclopedia in relation to affiliate programs on the internet business which of course has a significant value for all of us that we want to make this work such a source of income and support our family with a decent, lucrative, and free job. Thank you very much for sharing, I especially like the 200 points to place your content in the range of Google. Nice to meet you Renan, you really flattered me with your words so thank you. Really great sources. Thanks for sharing. It’s true that it can be overwhelming a little. That’s one of my problems sticking to one plan, one program and staying focused on it without getting distracted… which can be pretty easy to get in that big Internet marketing world. But these guys sure are great models and examples of what you can become if you persist, keep a positive mindset… and also be genuine, honest and transparent. If I had to follow and stick to only one of these blogs, which one would you recommend me! The first one? Hi Guy, reading your comment is actually quite motivating so thank you for that! I think it’s best to stick to one program to build your online business and then improve your knowledge with other sources like books, blogs etc. 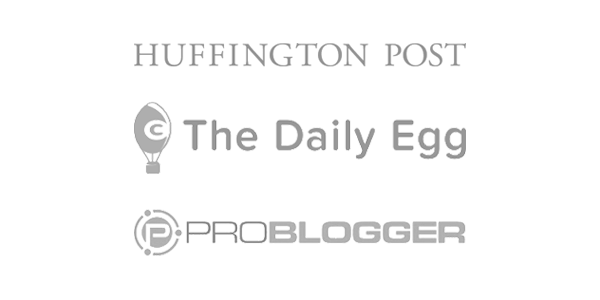 I can definitely see why you feel so overwhelmed about following these blogs, a good method is to set yourself to read a certain amount of post per day. What I also found useful is to us Feedly to keep yourself updated on new contents. About the number one recommendation… I would say Smart Passive Income for general knowledges about the online business world. Especially listen to his podcasts. Or Brian Dean’s Backlinko is the one place to go for SEO guides… and awesome case studies. I hope this helped. All the best! Hi Anh, in your conclusion you rightly write it is a lengthy read in front of your visitors. In fact it was a rather lengthy read already going through your text. You provide some good information here. I did not know about these blogs you gave here, the only exception is the number 5. So thanks a lot, it was indeed useful visiting your site. I wanted to give in-depth information to the readers… I hope this being a lengthy read is not such bad a thing! I have some ideas to improve the readability of my posts actually, I’ll be updating that soon. Backlinko was a great site and I think everyone who wants to improve their website’s ranking should check Brian out. If you haven’t do look at his must-read articles. It’s my pleasure to be of use. Thanks for the excellent reviews and advice on the best blogs out there for affiliate marketing! I have heard and been to two of these (Pat Flynn and Backlinko), but the other three are new to me…There are always things we can learn from such sites and I personally try to visit such sites at least once a day, sometimes going back to reread articles and posts! Always nice to get new ones to add to the ones I now visit so your article was right on time! Best of luck to you and I will be coming back here. You have good info you are sharing, much appreciated! Nice to meet you, Dave. I am happy to provide you with good resources. Pat and Brian have great contents, I recommend you check VideoFruit as it’s a blog that offers you another spectrum and take on online marketing with case studies and techniques. Another note, I found this site Feedly.com that helps you keep updated on multiple websites at once so you don’t have to check back for new contents. What a great article, it’s really interesting and I’ve learnt something new from it. I’ve bookmarked your page for more interesting information. So which affiliate marketing site would you read if you had to decide on one and one only? Or may be two? I definitely can’t fit in 5 sites worth of reading! Nice to meet you, Sammi. It’s my pleasure to help. If I can just choose one to recommend… let’s see… That would be Smartpassiveincome, Pat offers the most general information about a little of everything about mindsets, guide and case-studies. And in case you are so tired to read anything, check the his podcasts! Very inspirational post Anh! Out of your list I know only about Pat Flynn and agree that he is very transparent in what he is doing. I think being a part of Wealthy Affiliate is great but it’s very beneficial to visit other successful blogs, interact with the owners and benefit from their experience. I always do so and it helps me improve my business. Let me ask you a question. Do you benefit from other successful bloggers? Thank you for the kind comments. I do think hanging out with successful people and building a relationship with them will help you a lot with your own development. Your question is very interesting. I myself has learnt a lot from these blogs – which is why I decided to make this compilation in the first place (there are a lot of unauthentic sites in the make money online niche and I want to offer others an easier time searching). Because a blog is much more updated than the online courses you will soon realize how their information are more new and detailed, I was inspired and received great innovative ideas. If your site is already well built, I suggest you look at Brian Dean’s blog for traffic building techniques. Thanks for putting together this list. I’ve been following a couple of these guys for quite awhile. Now I have even more resources to learn from. Search, SEO, and Internet culture in general is evolving so fast that you need multiple expert sources to draw from. The methods they promote can become out-dated overnight so you need a lot of resources to stay current. Hello! This is my first time visiting your website. It sounds like you have done your research and put your time into it. I should take a look at these blogs. All of these people sound very successful. It is hard to find the time to look into other people’s blogs when you are putting time into your own website. But if their information is valuable then it would be worth my time. Thanks for the information! I am glad to think the time I spent looking into others’ websites and compile them could help someone! If you are not the reading type, at least listen to Pat’s podcasts. It’s a good idea to branch yourself and keep an eye out on good resources, free or paid. I found that you will be able to develop and has much more ideas the more researches you do. Keep learning and keep experimenting. Hey, thanks so much for sharing these resources. I’ve been following Pat Flynn’s blog for quite some time, now I’ve got a whole lot more resources to look into. I like how you went through each blog in depth with detailed description on what each has to offer and their targeted content. On a side note, is Affilorama considered an affiliate marketing blog as well? I bumped into it the other day and thought the content was quite good. Just wanted to know your views. Thanks! Keep up the good work! I’ll be sure to check out more of your review posts. I am glad to be able to give you more resources. Like in any business, the more you know, the better. Affilorama is more of an online course. A blog is a regularly updated website or web page with new relevant articles. I actually haven’t looked into it as I bumped on Wealthy Affiliate in my search and found how much better it is. Since you mentioned Afillorama, I will sign up and update you soon. As of now, I recommend you focus on one program, course only and read blogs like these as an extra.